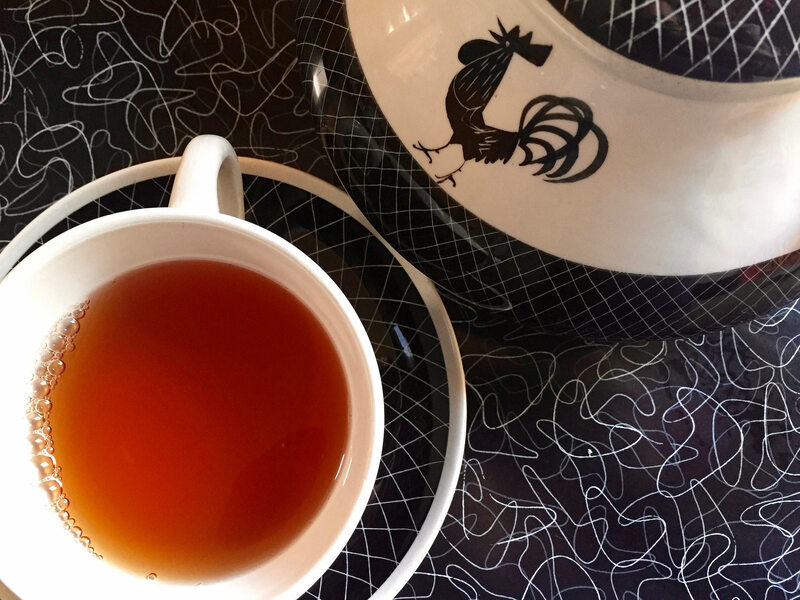 Though I start my day with espresso, I really enjoy a nice pot of tea, especially on dreary winter days. I keep a varied selection, to suit my moods: Bracing black to wake up the palate and inspiration, soothing green for pensive moments, and even a few herbal tisanes like mint and chamomile to settle the stomach or calm the mind’s chatter. There’s more to tea than just adding hot water. To get the best from your brew, the devil’s in the details. I’ve picked up a few tips from tea aficionados, and have ultimately developed my own method for the perfect pot, every time. Invest in whole leaf tea. For the most part, bagged tea is made with overly fine, dust-like remnants of tea leaves. Tea shake, if you will. It tends to be of inferior quality. I’m fond Steven Smith Teamaker’s products, and occasionally purchase some from DAVIDsTEA, because they’re in the neighborhood. Don’t crowd the tea ball. Only use about a teaspoon of leaves per cup of tea. Start with good water. Use cold, freshly drawn water from the tap, or, if your water is hard or unpalatable, use filtered water. We’re lucky to be on Hetch Hetchy water, which is among the best in the nation. Check your temperature. Don’t just bring the water to a screaming boil. Different teas work best at different temperatures. Delicate white and green teas should be steeped at a barely simmering 180°F; oolong and black around 200°F. Herbal teas can tolerate a full boil. Pour the water over your tea leaves. Some say this shocks the leaves, so if you’re very fussy, pour the water in the pot and then add the tea. Vintage cups and pot from a set you’ve been collecting for a couple decades optional, but highly recommended. Do not disturb. Let the tea steep. Step away, check your email, play games on your phone, take a nap, etc. Return to the kitchen no less than three hours later. Notice the pot of tea on the counter. Drink the tea anyway. This method is so consistent in results, and has become my go-to way to enjoy tea, whether as a morning pick-me-up or an afternoon refresher. I’ve actually come to enjoy tepid, overextracted tea in its own right. Try it and see!